This post was featured on Northwestern’s EPICS Blog. As part of my internship at the Human Rights Campaign, I planned our quarterly “Networking with GenEQ” event that was held on July 31st. This included advertising the event to various progressive organizations across the DC area. After many phone calls, emails, social media plugs and conversations with friends, 60 people showed up for light refreshments, an open bar and a networking activity. I know that networking activities can sound lame, but everyone ended up having a good time and leaving with valuable skills in crafting elevator pitches. There was also ample time to meet other smart, progressive young people and enjoy a few free drinks. It was one of the highlights of my summer to host such a fun, successful event with such a great turnout. 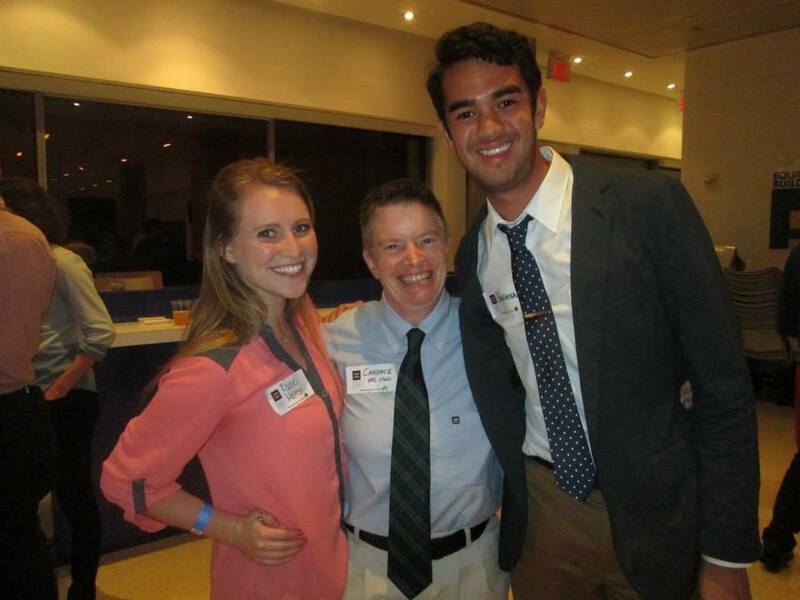 Me with my co-intern, Rachel, and supervisor, Candace Gingrich-Jones. There was something about the networking event that felt like the culmination of my internship, but my busiest weeks interning have actually happened since then. I was responsible for most of the internship recruiting and advertising, which wrapped up around the priority deadline of July 21st. Since then, I’ve been working on matching the right interns with the right departments. Often times an applicant won’t be the right fit for some of the departments he or she selected, so I have to reroute those applications to other departments. It can get very complicated as some departments end up with a lot of applications in their hands while others are left with none. I have to keep track of the hundreds of applications through a system called Wufoo so that we know which departments have what applications, which departments have hired, which departments still need an intern and which interns have turned down offers. It can get especially tough when many applicants can only work part-time in the fall, as many departments need full-time interns. I get emails from departments every day asking for more applications, telling me which ones they are interested in and which ones can be rerouted. It has ended up being a really good way to interact and work with staff from all across the HRC. It has also been helpful to see hundreds of resumes and cover letters so that I can continue to perfect those essential skills for myself. 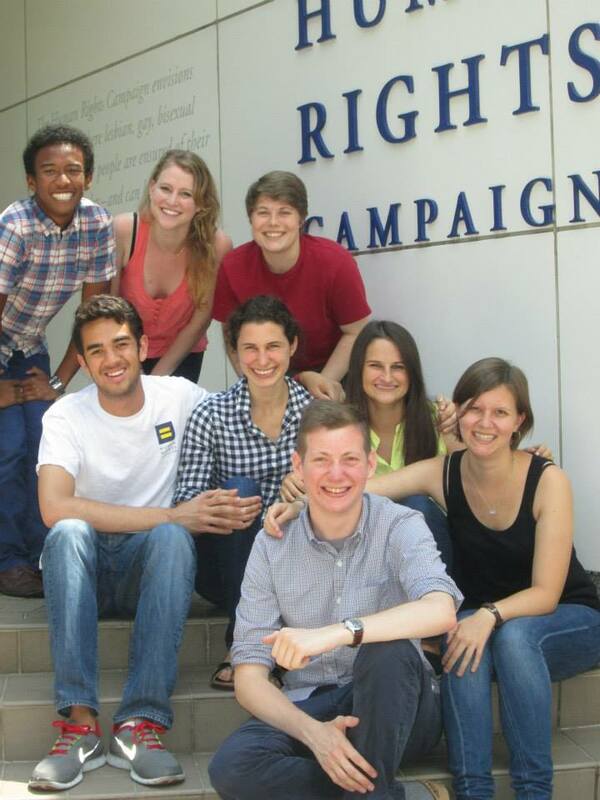 Me and some of the other HRC interns from my floor. In addition to helping with the intern recruiting process, I have been working on two other projects over the last few weeks. One is creating a guide on young LGBT people entering the workforce for the first time. I have done extensive research on coming out in the workplace, company nondiscrimination policies, domestic partner health insurance benefits and transgender-inclusive insurance coverage. It has been eye opening to see concrete examples of the rights and benefits LGBT people and their families are denied and the complex processes they and their employers must go through to create more equal work environments. There is strong, competitive incentive for companies to have domestic partner inclusive benefits, and a majority of Fortune 500 companies offer equal domestic partner benefits. It is very important for young LGBT people to have a grasp on their employers’ often confusing domestic partner policies and the rights and responsibilities that they have in spite of these policies. HRC’s Corporate Equality Index does incredible work rating companies for their LGBT-friendliness and inclusive policies. My other project involves researching the LGBT campus climate for 10 states to help determine what opportunities and roadblocks we face there. This involves researching nondiscrimination policies, employee domestic partner benefits, LGBT student organizations and resource centers, current news stories involving LGBT issues (such as firing teachers, votes on various policies, etc.) and any other relevant information. Luckily, some of these schools have been rated by the Campus Pride Index on these qualities and more, making my job much easier. Me and Karin Quimby, HRC’s Regional Field Director for the South. I will be continuing to work with the HRC in the fall, campaigning for marriage in Illinois and Senate votes for the Employment Non-Discrimination Act (ENDA) in Arkansas. In addition, I am volunteering with HRC’s Chicago Steering Committee, working on the media and communications team for their Chicago Gala, which I will be volunteering at. Finally, I will be volunteering at the HRC National Dinner on October 5, which President Obama, Lady Gaga, the cast of Glee, Mo’Nique, Sally Fields and more have all attended. 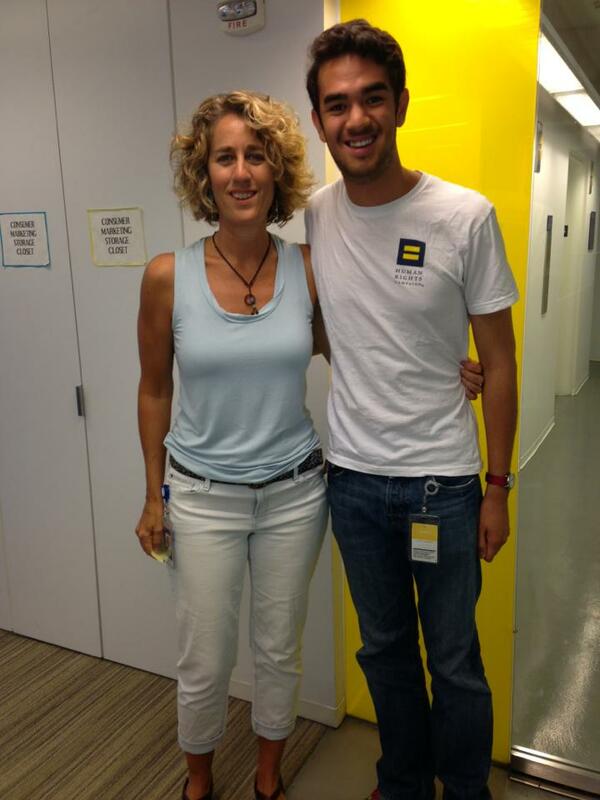 As my internship enters its last few days, I look back at my summer at the HRC and the incredible opportunities it has given me. I have befriended passionate people from all over the country and met and worked with some of the foremost LGBT and civil rights leaders of my time. I will forever miss my time as an HRC intern, but I hope to return to DC after I graduate in December to continue my work in progressive politics and LGBT equality. I can’t help but remember nervously sending in my application for my dream internship last February and the excitement I felt when I was accepted. Now, faster than I could have imagined, my time here is almost gone – but my work is just beginning. This post was featured on the Northwestern EPICS Blog on July 30. I have been blogging for them, the HRC blog and Both Eyes on the Suen, so please forgive the crossover! Things have certainly calmed down since standing in front of the Supreme Court when DOMA and Prop 8 were repealed. I’ve gotten used to the daily routines of work, felt more like a local in DC and become closer to my new friends. I’ve seen my projects come to fruition and realized that my work is benefiting an organization I care about. I’ve spent a significant amount of my time here recruiting interns for the fall and creating a comprehensive guide on intern recruiting. The guide has reached 25 pages (granted, a lot of it is contact information)! I’ve contacted dozens of university “intern in DC” programs asking them to send our information to their students. I’ve sent hundreds of Facebook messages and emails to campus LGBT groups and resource centers. I’ve also mastered job posting on LinkedIn, Idealist and university-specific career services websites. 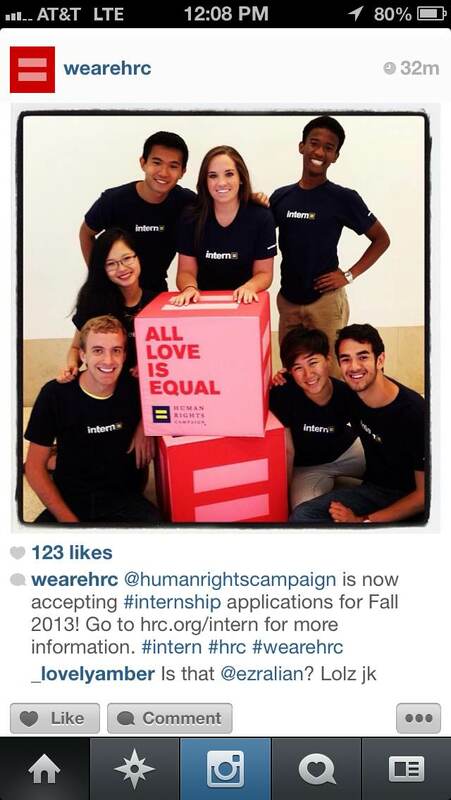 The most fun part of the intern recruiting process has been social media advertising, which allowed me to create posts for the HRC Facebook page (liked by nearly 1.5 million people), Twitter and Instagram. 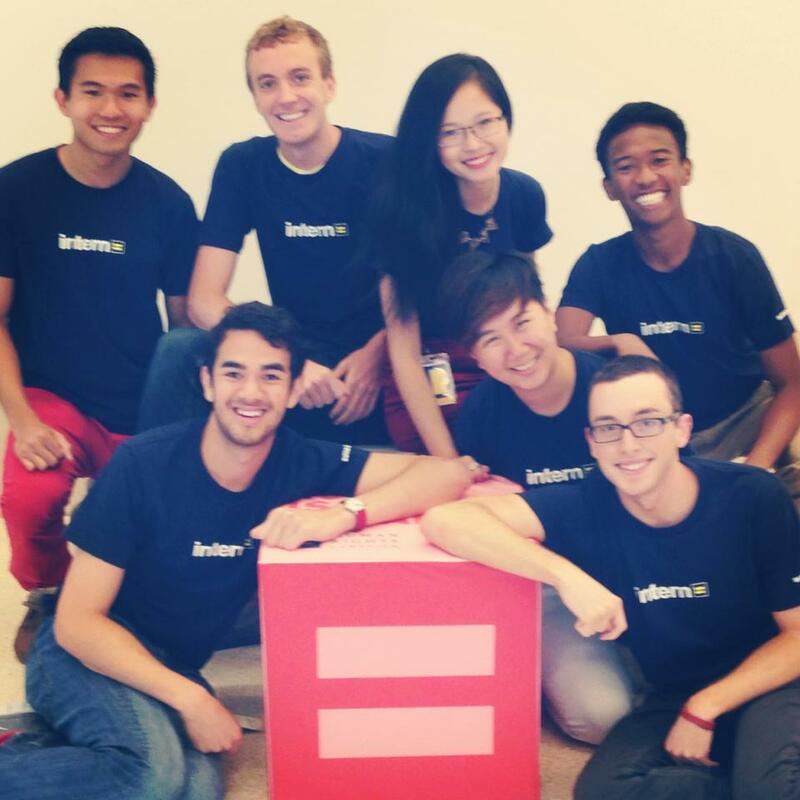 I was able to direct an intern photo-shoot that was used on the Instagram – and of course dozens of profile pictures. 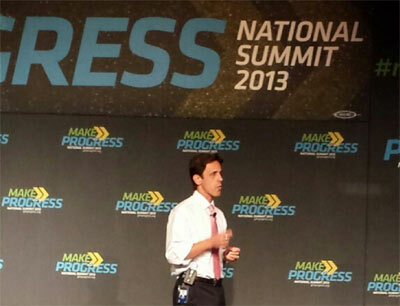 I was also able to attend Generation Progress’s Make Progress National Summit 2013 with the rest of the interns, which was fun and empowering. We heard from some awesome speakers there, my favorites including (but not limited to) Massachusetts Senator Elizabeth Warren, senior adviser to president Obama, David Simas and openly gay Wisconsin Senator Tammy Baldwin. Warren gave a riveting speech on the student debt crisis, as student interest rates recently doubled due to inaction by Congress. This year, the government is expected to make $51 billion in profit from student loans. “The government should not be making profit on the backs of our students,” said Warren. Simas spoke about the importance of the Affordable Care Act and its implications for those who max out their healthcare plans, those with preexisting conditions and young people. He urged us to fully support the act and to encourage people to enroll for these protections on October 1, when open enrollment begins. 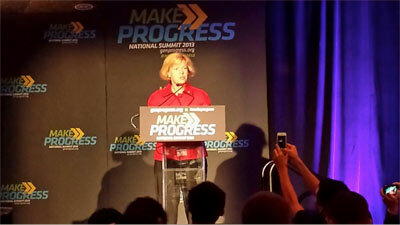 Baldwin finished the summit with empowering words on the importance of youth in the progressive movement. The day really got me excited about a career in progressive politics, whether that’s through nonprofit work, working for a politician or maybe even running for office one day. Like this summer as a whole, the summit has opened my eyes to careers that I had never thought about before – ones that I plan on pursuing. After the summit, I was able to post my first post on the official HRC blog about the interns’ experience at the summit. You can read the full post here. The other new project I have been working on is planning and advertising the HRC “Networking with GenEQ” event. The event will bring together progressive youth from around DC to take part in a networking activity led by facilitators from the HRC staff and enjoy a light reception afterwards. It will be a great way to meet other young professionals in the area and talk about ideas and goals as members of the progressive movement. You can find the Facebook event and RSVP form for the event here. Encouraged by my new “professional” lifestyle and staff at the HRC, I also bought my own domain name for my website, www.brennansuen.com and ordered business cards. This internship has really made me feel like I’m entering adulthood, but also that I am entering it passionate and excited.